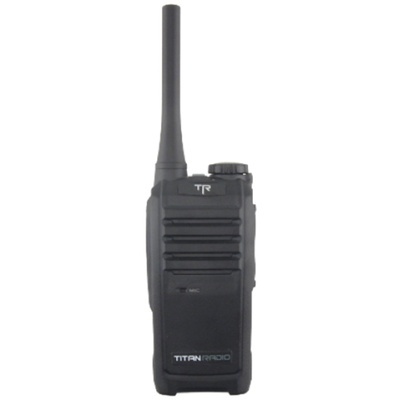 Product #16258 | SKU TR200 | 0.0 (no ratings yet) Thanks for your rating! Any of the 16 channels on the TR200 and TR400 can be programmed UHF. They also have a short press and long press programmable button(s) to enable features such as power adjust, monitor, priority scan, voice scrambler, VOX and battery indicator...to just name a few. Hook either up to a computer using the Titan Radio software and cable and you are on your way. Wide or narrow band is not a problem for either radio, making it compliant with the NZ/AU RSM mandate.